A blood moon has risen over a rural village in Southern France. Wild wolves are attacking the citizens at night as accusations fly about townsfolk turning into werewolves. Is Martha Patio really a werewolf, or has she been falsely accused to cover up another person’s secrets? 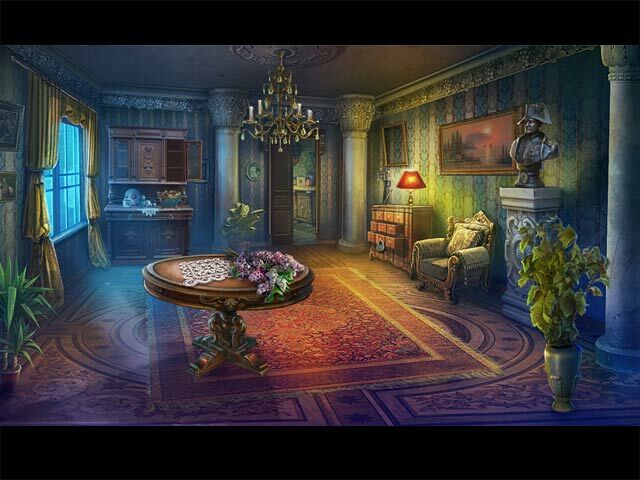 Examine crime scenes to gather evidence and discover who is leaving strange coins on the victims and why. Your keen observation skills will help you uncover the liars, but be careful who you trust in this small town, or you’ll become the next victim! 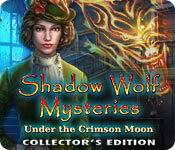 Shadow Wolf Mysteries: Under the Crimson Moon Collector's Edition is rated 4.3 out of 5 by 54. Rated 5 out of 5 by smoovasbutter from One of the best games by ERS Great effort by ERS. Graphics are superb (for ERS standards), music was okay, story was good, fun and fast gameplay, nice extras. Overall great effort. 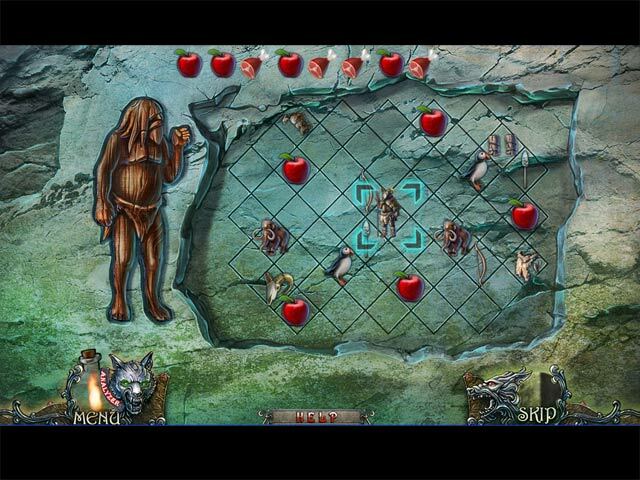 This is the first Shadow Wolf Mystery game that I have played. I'm looking forward to playing the previous installments in the series but I won't expect those titles to be as good as this one. Rated 5 out of 5 by ty1220 from Two thumbs up Not my favorite Shadow Wolf, but not far behind. Rated 5 out of 5 by English_teacher from More Interesting storyline The storyline in this was more interesting than many. I like it when I can't easily figure out everything right away. I even had to look at the Strategy Guide a few times, but that is better than everything being tooooo easy. I love the Strategy Guide so I don't have to look online for help. 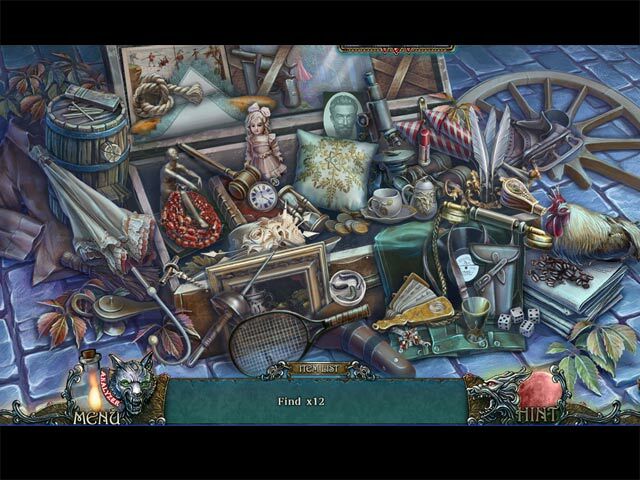 I love the graphics and that the hidden object games sometimes have puzzles within them where I have to figure out how to put things together to get to another item. Rated 5 out of 5 by Powrtoc1 from A great whodunnit! Even though there was little movement with the characters, they were beautifully done. The dog was cute, too. The story flowed well, the minigames were just right. The "good, bad" werewolves added a nice sidebar to a well written murder mystery. Sure had me guessing! Rated 5 out of 5 by Fuphyter from ANOTHER GREAT SHADOW WOLF MYSTERIES GAME I love this series and this one was awesome. Very unexpected story line had my guessing quite a bit as to where it was going. The visuals, music etc. is all great as well. If you have never played games in this series and you really like this one, check them out. There are quite a few, if I remember correctly. Although my memory isn't very reliable lately. I blame it on the 70's LOL Happy Gaming!! Rated 5 out of 5 by judeejuju from Excellent game Having bought the other games in the series, I purchased straight away and I am glad I did. As good as the others! Compelling to play from beginning to end. Well spaced out and varied HOs and good mini games. Bonus chapter tied things up nicely. Definitely recommend! Rated 5 out of 5 by tutortime from Excellent Game ! Loved playing this game. This series is a must play for gamers. Rated 5 out of 5 by carb7250 from Nice Twist to a Classic Game Style I liked having to find the clues on the people you meet, though it was a nice touch to the classic detective-style hidden object game. Is Martha really a werewolf - or has she been wrongly accused?